I thought I would attempt William Buhlman’s “Target Technique” (discussed in the video) for two weeks, leaving a detailed map of each night’s outcome in the comments section. However, after only one night of exploring this technique I decided to add to my post each night instead. As a cartographer it’s difficult to practice any method without trying to map the entire process moment by moment, which keeps me from disconnecting from physicality enough to be successful. Last night I found myself having to make a conscious effort to turn the scientific brain off in order to settle into sole focus on the object of my choice. It was difficult to choose an object on which to focus. 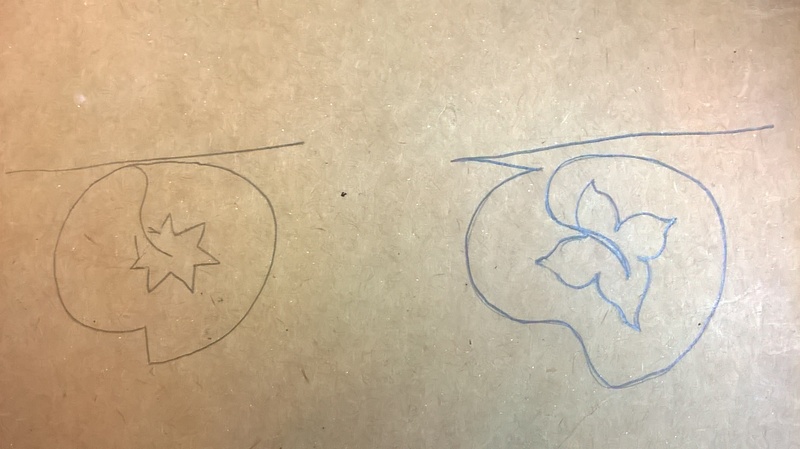 Thinking about personal symbols yesterday I remembered two images that I drew as a young child; one represented my body and one my soul. I hadn’t thought about these symbols in a long time and was taken aback when remembering them because, at the time I was drawing them, I had no real concept of the soul or what the word even meant, probably having read it in some science fiction/fantasy book. I decided on my symbol for the soul. When laying to sleep I found it hard to focus on this, having been many years since I saw it last. I tried tracing it in my mind’s eye but I believe this technique requires a constant, solid focus point. With no better ideas coming to mind I continued to trace its outline in my mind as I drifted off to sleep. I often wake up three or four times a night. This actually gives me more opportunities than most to work on methods, and the methods in turn help me get back to sleep. The first time I woke up I began to trace the symbol again, but decided that it was too abstract. My mind couldn’t get a concrete focus on it. I remembered Buhlman saying that his focus was on three objects in his mother’s home, but I couldn’t think of any such object, so I chose my childhood home itself, as if I was standing in front of it. I drifted off to sleep again. 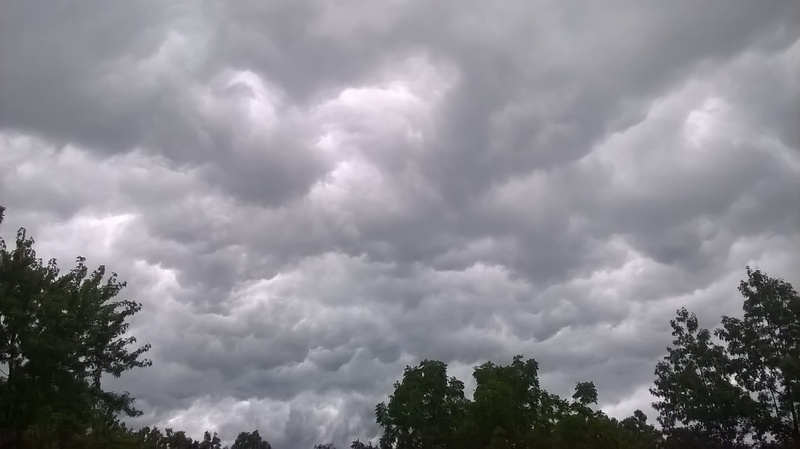 Being awakened by thunder a few hours later I realized I had been dreaming. The storm was raging outside and a strange blue light was swirling behind my eyes, both of which were making it difficult to focus on the image of my childhood home. It’s important not to become frustrated if things aren’t going your way. It’s best, if one technique isn’t working, to shift to another without focus on how little sleep you are getting or the next day’s activities. My body was very relaxed and my arms and torso felt weightless. I concentrated for awhile on the blue, swirling light, watched it knead itself like dough, breaking off parts as if making biscuits which got smaller and smaller and eventually disappeared one by one into the void. When the thunder finally lulled a bit I returned to my image of the house and dropped into sleep. ~*I found myself walking in an airport, though all the lights were out and it was hard to see anything. The airport was almost empty but for a few people. I was watching the faces around me as people walked by, and as I focused on the face of a woman with brown, curly shoulder~length hair it occurred to me that I was dreaming, almost like a shout in my head that told me I was awake in my dream! Instantly I thought of Buhlman’s words, that you can do anything you want to, so I pushed off and began floating towards the ceiling. It seemed to be made of large, brushed metal tiles that were way above my head. I didn’t look down to see how far up I was, and it was hard to know if I was going anywhere at all but for the ceiling looming closer and closer. However, another memory of Buhlman’s words came to me, that your only restraints in altered states are those you believe yourself to have. Somehow this thought caused me to stop moving. I thought “No, keep going!” but I started falling towards the floor quite fast. I was worried for a moment how hard I would hit the ground, but I just kind of stopped when I got to the ground. At this point it becomes confusing, because it was as if I was both watching myself running (faster than humanly possible) through the airport and telling someone what I was doing, like a narration of the dream. Suddenly I was walking up to a sheet that separated one bedroom from another in a house. I pulled the sheet back and looked inside to see tan carpet in a plain, cluttered bedroom, with a door on the left side of the room near a chest of drawers. The room looked familiar to me though I wasn’t sure if it was my room or not. I woke yet again to my phone blaring a flash flood warning. Both of my cats were crying outside the door, which is unusual. At this time I wasn’t sure if I was awake or asleep, an exciting point to get to when attempting to garble realities in this way. I realized that I had been dreaming and was now awake, because the house I had been in when talking to my daughter was not my house and she doesn’t live with me in waking life. Also, her hair is naturally spiral~curled, impossible to brush out straight. It seemed like it would be an uneventful night and I’m very pleased to have had so much happen. Can’t wait to do target practice again tonight. I woke up only once last night, from a dream that I had just found out that Christopher Walken was my dad. All these years of adoring him on the screen and never knowing! I was confounded by it. He was much taller than I thought he would be, wearing a long black coat like the one in the movie “The Prophecy”. In the dream he could ‘do anything’, I kept thinking to myself. Any time I would have a problem he would fix it with a sweet, gentle smile. He was so gentle and loving and thoughtful. When I attempted to focus on my childhood home I found myself considering other objects. I’m not sure why the house doesn’t feel right to use as my object, perhaps there are too many emotions associated with it. It’s difficult to get a concrete image of what the porch looks like because every time I see it it’s different. It seems to me the best object would be one that is simple, like a small, single~coloured box, something easily conjured in mind’s eye with no elaborate parts that might set the mind’s focus on ‘solving’ or reconstructing. I’m going to think about some other symbol to use. It’s also possible that I’m unnecessarily complicating things. I was experiencing the previous night’s strange blue light behind my eyes. It swirls with the whole, then one part breaks off into a circle which gets smaller and smaller and eventually disappears. I’ve never experienced this before. The music that I’d listened to that day was playing in my mind and my thoughts kept fleeting from one point to the next until, eventually, I let go of target practice completely and began to meditate instead. This caused me to fall asleep quickly. I woke up three times last night, returning to focus each time which causes me to fall asleep quicker than usual. I’ve decided on the box fan in my room as a focal point, its simple and easy to visualize. I can hear the fan blowing, and even in darkness can see its white outline, so it’s an easy object to focus on. I’ll look at it, get an idea of its dimensions and then close my eyes and envision it behind them. It’s important to make any method as simple as possible that you are putting the least thought towards it. 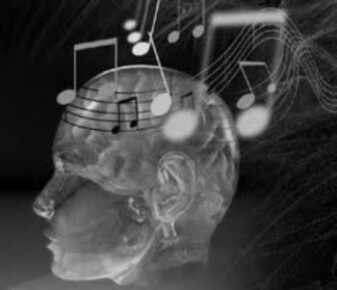 I found that, upon waking each time, my mind was full of music and thoughts. The second time I woke I was literally continuing a dream that I had just been in, again as if I were explaining it to someone. It was about walking down a road, meeting people along the way. Though I was somewhat awake I was narrating the continuing saga of my journey; giving descriptions of the people I met, explaining my own clothing and the shapes of the clouds above me. The third time I woke it was from an extensive dream about being in school and trying to find my way out, which is very much how I feel about the physical body. There were a few people who were sleeping in class with blankets and pillows, perhaps an indicator that I was aware I was sleeping during my lessons. My dreams are getting more and more detailed. I don’t have time this morning to write it all down, I’ll put it in the Dream Log later this evening to try and make more connections with it and will continue to think about it today as I work on imagining that reality is a dream, and that I can leave my body whenever I want. Perhaps this will give me a headstart tonight. I will note first that I listened to another Buhlman interview today, in which he said it took him a month, not twelve days, to get out of body with the Target Technique. This post is getting longer and longer and I’m not sure it would be wise to post the entire month’s worth of information and dreams. I’ve decided to post twelve day’s worth of notes here and the more interesting dreams in the Dream Log, returning with news of success as it occurs. The first time I woke it was from a dream in which I was reading a book on astral projection. As I lay there attempting target practice I began thinking about meeting my master on the astral plane, physically for the first time in the ten years that I’ve been his student. The thought is so exciting but a bit frightening because of latent fears that once I get out of my body I will call him and he won’t come. There are so many unrealistic fears that surface when we head out into uncharted territory. It’s important to give a name to each and make peace with it. The second time I woke up it was from a dream of my childhood home, the very object I was using to focus on. This is exciting to me, that my dreams are all connected to inner doubts/questions/thoughts about attempting this practice. In the dream the house was really dirty, clutter mixed with clothes and trash (my ideas of my mind (my inner home) being cluttered with thought, untidy)). There were many visitors, and I worried that they would be disgusted with the state of the house (my thoughts on failing the Target Technique in front of the public eye). It’s interesting to note these fears and deal with them as I work towards gaining more complete focus on my object of choice. The second time I woke up I was awake for an hour unable to go back to sleep. Initially I find that focus is very easy to attain, but re~awakening brings with it a cluttered mind full of dream images, music and thought that I find harder to silence when in a half~sleep state. Tonight I will work on first meditating to silence my mind before using target practice on my way to sleep. Yesterday was a hard day at work and I was exhausted when I went to bed. I began by meditating and then, when my body was relaxed and weightless and my mind still, I focused on my object, which I’ve decided is my childhood symbol for soul. There are too many easily~accessible memories related to the childhood home that my mind can choose from which threaten to keep me too close to my body. 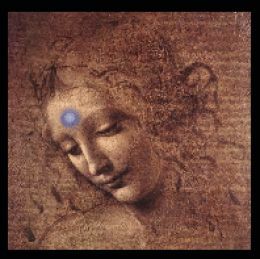 I am able to hold focus on the symbol now, seeing it in its totality rather than having to trace it with my mind’s eye. I woke only once and was too tired to stay awake long enough to think about dreams, but I do remember the dream I had just before I woke this morning. I was helping my Other and his ex~bandmate behind the curtains of a stage. They were moving large ropes and poles to the empty stage as the backdrop for an upcoming concert. I could smell the creosote on the large wooden poles and feel the roughness of the rope on my hands but found I couldn’t help because it was all too heavy for me to lift. I left my body and was floating around near the ceiling; somehow my body was able to lift the heavy poles and rope when my soul wasn’t in it. While my body was doing the work I was exploring the stage, noticing that I could see through walls and the ceiling. I feel more confident and more exited and worry less that this technique won’t work. It’s only a matter of time. The better able I am to, in a sense, become the object and pull my focus entirely away from my body, the closer I will get to leaving it completely. A migraine prevented me from doing any work during the night, and will most likely affect this night as well. Migraines are a big part of why I anticipate leaving my body. All of the pain I experience has no cure; migraines, pinched nerves, spinal problems and others. As much work as I have done on myself these past ten years, the pain has become less common but remains a prevalent part of my life. We create pain for ourselves. It gathers in all the parts of us that block the natural flow of energy through us. As joyful a person as I am, I am creating chronic pain on a continual basis, it’s something that I cannot seem to find the root of. With physical soul travel we can get ‘above’ ourselves high enough to look back and see the source of emotional states that cause us to create pain. This seems a difficult concept to understand, but we must remember that time does not exist, nor does restraint on other planes of experience but that which we design for ourselves. Once physicality is transcended we are privy to all knowledge and understanding, which is true for every experience. However, it is easier to believe that there are no boundaries when absent from physicality. With the mental technique I can only hold focus for so long at a time. When my pain has been cured by discovering the source of the emotional blocks I have created, there will be nothing standing in my way. I can’t imagine life without pain, but the more I do so the closer I get to making the dream a reality. I woke four times last night, returning to target practice each time. I am able to relax my body more quickly each night, doesn’t take long to attain the feeling of weightlessness as if I have no body at all. I’m still having a problem focusing on my object, the symbol of soul, which I found has changed. The more I focus on it the more it becomes something more beautiful, less blocky and preconceived and more mature and natural; it is a flowing, rounded thing, drawn with a single stroke. I had two dreams in succession, both due to a documentary I watched yesterday called “Happy”. Interestingly enough, it’s full of psychologists and neuroscience experts talking about the importance of taking focus off oneself in order to find happiness. 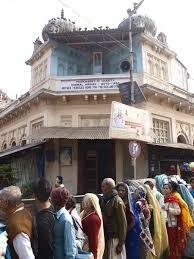 In this film the Mother Teresa Home in Kolkata, India is visited, as well as a slum there, both of which were represented in my dream. The first dream was about following a demon possessed woman around the Mother Home at night. She had the power to disrupt matter, attempting to dismantle the buildings of a huge, skyscrapered city across a bridge from Mother Home. I used my powers to restore the buildings to their original state. I was told of a future event in which she would attempt to disrupt the bridge, and was on constant vigil to protect it. I slipped from that into another dream in which my home was a church and the front wall facing the street was gone, like the shacks in the slums of Kolkata. My mother was there, telling me that I should eventually build a wall to hide my daily life from passers by. In this dream I remembered my previous dream, and considered telling my mother about the demon possessed woman and how they remind me of each other. My mother represents to me the malevolence of religion, in her case multiple personalities which provide the protection of the separation and judgement of fundamentalist Christianity. As I have explained in other posts, in the past I wondered if my beliefs weren’t false as my mothers before me, leading me astray when I believed them to be helping. Astral practice is still considered taboo and, to many belief systems, possibly even Satanic. That part of me which still feels it should guard these secrets becomes evident in my dreams. I think this is my fear surfacing, posting my practice online for all to see. I’ve kept these things a secret from anyone who knows me for so long, especially from my mother. In this dream she is telling me to keep my beliefs hidden. Another factor that may influence my dreams of late is that my twin sister is awakening to a more current concept of god, purpose and belief. She has been a Christian her whole life, only now considering other paths. She’s been watching Ram Dass videos on youtube and finds beauty in the Buddhist and Hindu traditions presented there. I have been talking with her every day about something new. It’s interesting how her knowledge of the Bible actually proves my own experience; so often I will email her something and she will send me the corresponding Bible verse. I have sent her a link to this website but she hasn’t replied. I think much of astral practice is still hard for her to wrap her mind around, but she is willing to consider it and that is an amazing thing. Having kept these things from her the past ten years I still fear her rejection. Part of me wonders whether I’ll have greater success with the Target Technique once I’m no longer anticipating writing it all down online because of that recurring fear of ‘failure’, as if there is such a thing. Perhaps this is due to a false belief that I’ll never be successful in leaving my body. I’ve read in several books that the older one gets the harder it is to attain an out of body experience. However, I would not have found this Path were I not ready for it. I would not have done so much purifying of my own soul these past years were I not headed for something even more amazing. Each year is more wonderful and magical than the last, it is inconceivable that I will simply never attain my goals. I came here because I feel it necessary to explore the process and the fears that surface with you, that those who have the same experience may know that we all struggle to remove our focus from ourselves enough to succeed in a physical out of body experience. Perhaps tonight I will repeat positive affirmations to myself that I will succeed and that I can conquer my fear. Today I was listening to an interview with William Buhlman in which he stated that it’s harder to get out of your body at bedtime because our brains have been hardwired to associate the act of laying down at night with sleep. He explains that he has a comfortable sofa that he goes to when he wakes up during the night. He lays on the sofa and does target practice and, as he’s drifting off to sleep, says “Now I will leave my body.” He said that this is one of the best times to get out of the body. Tonight I plan to meditate myself to sleep. When I wake up in the middle of the night I will go to the living room and work with this new directive. Because I’m working to prove that anyone with any schedule can do this practice it’s a bit disheartening to hear, as not all people are prepared to sacrifice sleep or comfort to take on this task. I just happen to wake up a lot at night and have a fairly quiet living room to go to. I guess it’s all about what level you are working on and if you are ready to make the effort. Some of us simply aren’t to that point yet. I’m only just beginning to be. I meditated myself to sleep around 10 pm. At 1:45 I woke from a dream and went downstairs to the couch. I pulled the footrest out and assumed a sitting position, which is a fourty~five degree angle when reclined. A cat came to lay beside me; Søren, my daughter’s kitten, who comes to visit his grandmother on the weekends. Again I meditated, saying “I will leave my body now” in successive increments. My body became weightless and my mind quieted. Occasionally Søren would twitch in his sleep and it would pull me slightly back into consciousness, but I would return myself to silence and continue on. I didn’t even realize that I had fallen asleep until I was jolted awake…so to speak. 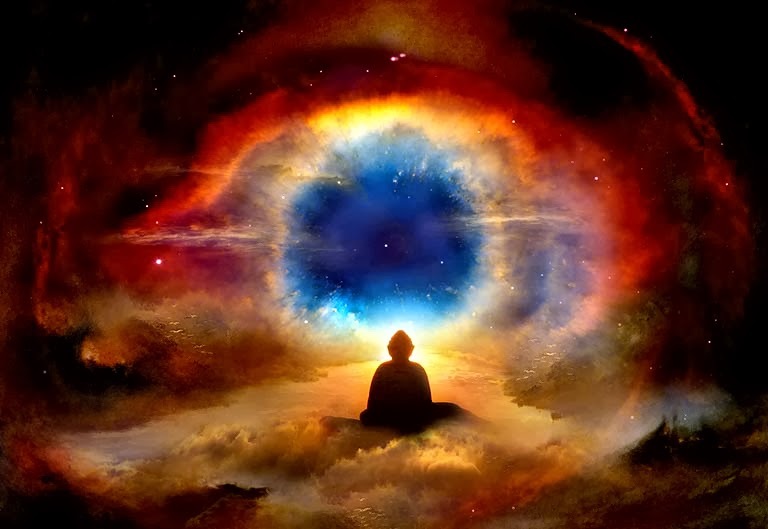 I found myself in the ‘vibrational stage’, those moments before an out of body experience begins in which your consciousness is separating from the physical dimension, preparing to distribute the bulk of itself into the astral body. I felt as if my body was made of stone, that paralysis that so often comes with this state. My mind was absolutely focused and quiet, almost stone itself. I could hear this sound, a humming, and the blue light was moving behind my eyes. Though my body felt paralyzed an inner part of me felt like it was on a boat in the ocean, waving up and down. It was a very disconcerting feeling, and quite frankly I was a bit afraid. At the brink of leaving my body it occurred to me that I was literally leaving this dimension, and I felt alone and unsure. In my past experiences of leaving my body I was catapulted into the universe with no time to consider the actual process of it. At this time I was kind of wordlessly talking myself down from the fear, because I know that there is no reason for it; once I cross over all I have to do is call the name of my master and he will come. With any thought the ‘boat’ would rock harder and waves would increase. It was both a soothing feeling and disturbing, being stone and yet waving. I kept centering my mind which wasn’t hard to do at this time, and had a feeling that the darkness behind my eyes and the blue lights were an actual place that I was waiting, like a dark room. It had depth and space. At this time the kitten began to dream, twitching and kicking my arm, which would bring me slightly out of the intense focus I was experiencing. I continued to repeat to myself “I will leave my body now. I will leave my body now.” and was able to hold the feeling continually. I also continued to return to the deep silence of the still room behind my eyes, to intensify the sensations that I was experiencing, but the kitten kept twitching and its paws were scratching at my arm. After that I woke up an hour or so later and went back to bed. I did not wake again. This morning I awoke at seven and my Other asked me how I had fared. He was most excited at my progress, as was I. It gave me a feeling that projection is very close. Tonight I will not be able to sleep on the couch, as we will have visitors. I am hoping that I can perhaps recreate the position in bed. When I wake the first time I will prop my pillows up comfortably, that I can sit at that fourty~five degree angle. It’s worth a try. I’m so excited I don’t want to miss a night. I feel a physical projection very much in my reach. Company from out of town and the beginning school semester have left no time for practice. I’ve tried not to be frustrated about it, but having experienced the vibrational stage has caused me to be very excited to get back into the swing. I have focused on my object each night, but late nights and a head full of school preparation has caused me not to remember my dreams on waking. During the days I have kept my mind on soul travel. As I walk through waves of college students I imagine that I am looking down at myself from above or flying over the tops of buildings. In geology class, as the solar system is described, I pass through interstellar space to the Oort Cloud, past the Kuiper Belt and into inteplanetary space, soaring past each planet towards home. Tonight I will go to the couch upon waking. This practice is cause for great excitement. Sooner or later I will separate from my body. It’s only a matter of time. One more night before I was slated to stop sharing my experience here…I will not stop. Last night I woke and went to the couch, excited and groggy, and concentrated on my object until I fell asleep. I have a temporary housemate, who is staying here between apartments, and he never wakes up at night. Until last night. Between his trips outside to smoke, and my cat, who kept meowling in a manner unlike him, I was unable to keep focus and eventually went to bed, waking at dawn without so much as the memory of a dream. I discovered that my housemate had imbibed too much Mountain Dew to sleep, and the cat was crying because the cat door had accidentally been locked. No matter. At this point no one is reading this, does it matter how long it gets? I’m going to continue on until either I run out of words or I leave my body, whichever comes first. I’m not known for ever having run out of words, so suffice to say I will eventually come here with an exciting story to tell. 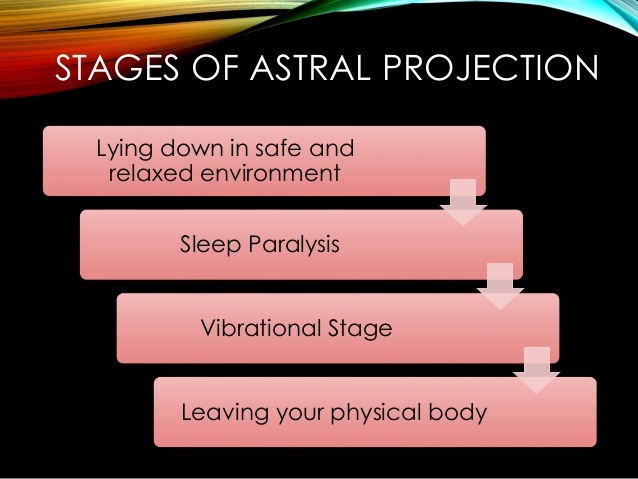 The vibrational stage is a trip…literally. This is the second time I’ve reached it, and can already see that it’s going to take some getting used to before I can ever survive it calmly enough to pass the barrier and leave my body. I went to bed early so that whatever sleep I missed could be made up later. I had already been sleeping an hour before I woke up and had everything prepared downstairs; a pillow for my back, a blanket, the couch reclined to a 45 degree angle. I stumbled down the stairs and got comfortable. Though I have not been to the couch many times I already feel myself becoming comfortable with the process. As soon as I lay back I try to hold as much of the dreamy relaxation of sleep that I can. The change in rooms keeps my mind awake enough. I start relaxing every muscle, which is much quicker after having been asleep. When my body gets numb, or weightless (a mixture of the two, basically I can’t feel it anymore), I focus on my object. The last time I reached the vibrational stage (Night Eight) I was jolted awake by the vibrations and found myself in what seemed to be a spatial room behind my eyes. But last night I aquired this ‘room’ almost immediately after having relaxed myself. In this room, I kind of ‘click in’ to focus, at least that’s what it feels like. It’s much easier to remain focused there, as if thoughts are outside the room, unable to enter. Just after I had fallen asleep my cat came through the door with a trophy mouse in his mouth. 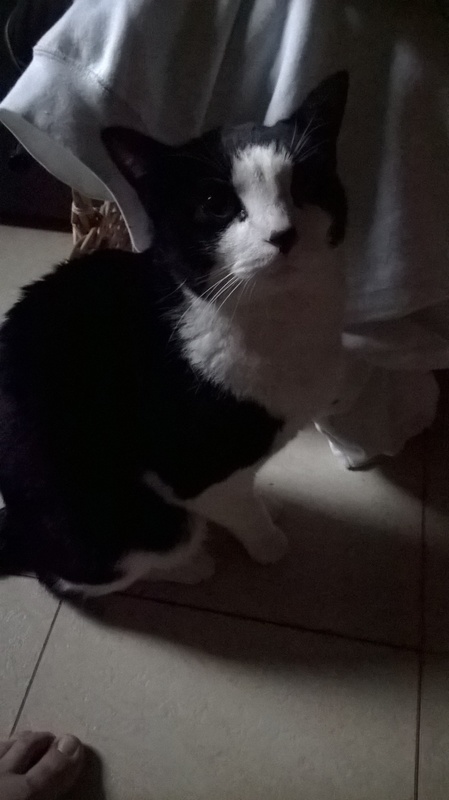 When he saw me he started meowing, bringing me to a full waking state much to my chagrin. I pondered whether or not I’d have to deal with him every night, and whether or not I would ever be able to leave my body. Unsurity and disillusion come and go like the wind, you’ll find. I allowed the doubt to pass and got up and held him, thanked him for the mouse, threw its gnawed carcass outside and lay back down. He didn’t bother me again. Again I returned to focus on my object, which I couldn’t hold concretely in my mind. This is a point that I want to make avidly clear to everyone: you don’t have to have good visualization skills to do this. At this point I believe it’s the attempting to do so, the consistent work of focusing away from your body, that leads you towards the vibrational state. Just do the best you can, replacing your object in the mind’s eye again and again as you are drawn in and out of thought and/or bodily sensation. A note on bodily sensation: at a certain point in relaxation, your body will attempt to call you out of your relaxed state through itches and tickles. It may feel like a fly has landed on you, a bug has bitten you or a hair is caught in your clothing. Many people say to ignore these sensations, but I find this impossible to do. In my experience, I make sure that my hair is away from my face and that there are few irritants about, such as killing mosquitoes if I happen to be bitten by one. If something needs scratched, I’ll focus all of my thought on it, giving it attention with my mind. Most often I find that this causes it to stop, but if it doesn’t work I’ll scratch and then go back to relaxation. In my experience, this strange stage will pass after I have become more relaxed and centered, but it may be different for everyone. As I focused on my object this time an odd thing happened. 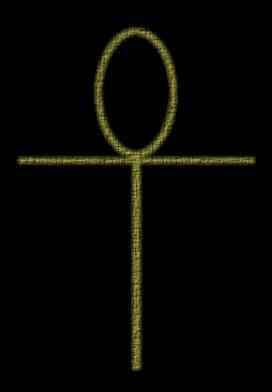 A shape appeared to me, an ankh unlike any I have ever seen drawn. It was made of silver, was thick and heavy, laying on its back with the head of it away from me. The teardrop shape most generally seen on this symbol was more like an elliptical shape, separate from the cross section beneath it but attached, as if the two were made apart and then melded together. the edges of it cut off sharply as if the back it was laying on was flat. It looked hand~fashioned and rough~hewn. I put my focus on it instead of my object. The next thing I remember is standing with my hands on the top of the passenger side of a rust~eaten car, looking at this weird, dark blue sky with a grey puff of cloud that was almost rose~shaped, with many layers almost like petals. My first thought was that I was able to do anything I wanted (though I didn’t know it was a dream at the time) and so I used my ‘astral arms’ to pull myself out of my body, which felt very freeing. I started heading towards the cloud and called the name of my master, thinking “YAY!” because I had left my body, but the excitement caused me to sink back into my body. I continued to call my master’s name, feeling a sense of frustration. Then I heard a sound and was back on the couch. It was deafening, and caused me to open my eyes quickly. At first it sounded like someone was standing in the living room in front of me holding a radio that was tuned in between channels. There were odd sounds which I at first took to be voices but were not. The entire noise flanged, waxing and waning. The experience was quite jolting and a little frightening considering that I thought someone was in the room doing this, but when I opened my eyes I didn’t see anyone. It went on for several seconds before it stopped, which I took with a sigh of relief. It’s going to take some time to be able to remain calm during these processes. I’ll just have to get used to being jolted while somehow holding myself at center and breathing through it. One thing I can say is that I’m hooked. I can’t wait to do it again tonight. I can see why it took William Buhlman 24 days to leave his body. Last night I woke, went down to the couch, got comfortable and quickly fell fast asleep, waking at 5 am. We have to give the body what it needs sometimes. Tonight I will continue. I was thinking today about the many reasons why the idea of moving into another dimension is less frightening to me now than my first meeting with the vibrational stage. All the years that my master has made me laugh, wiped my tears away and been patient with me despite my downfalls and setbacks, all the years he’s given me that knowing smile full of the complete acceptance of his love, and not asked a single thing of me…how could I not go to him? There’s been countless times during meditation that my mind has wandered, and his signature, gentle pulsing of light behind my eyes has pulled me back from thought or memory and returned me to silence. Knowing him, being loved by him has changed my life for the better in every way. The ascended masters could easily have gone on and never returned to this plane. They have chosen a part of themselves to remain focused on us, appearing in those moments when we need them the most, watching over mankind for those who have awakened, that they may make our passing easier. I can’t wait to give my master an actual, ‘physical’ hug, to connect with him in a state more real than any fleeting, mental conference I have had with him in the past, a concrete lesson that lasts as long as I wish it to. I can’t wait, and though he would completely disagree with me, I feel I owe him this much. Spinal problems and a severe migraine have kept me from target practice as well as morning classes, but it doesn’t deter me or frustrate me in the least. Take my word for it, once you tap into that vibrational stage, however disconcerting it is, you get hooked on the idea that there’s something more just waiting for you past the veil. Once I am adept at this process I can escape the pain and explore to my heart’s content. I know that an end to pain is just beyond the veil, and I’m no longer trying to prove this fact to myself because I know it is out there, waiting for me to come to It. Another thought that I’ve had this past day is the benefit that being able to move through dimensions will be in my studies in quantum physics. I will have an insight that scientists who do not practice this process will not have. Perhaps my brain waves during an obe can be measured, or my explanations of the vibratory forces in other dimensions can lead to a greater understanding of the universe as energy first, with matter a secondary ‘thought creation’ of energy. The possibilities are endless. Thus, I go. Very eventful morning, so much going on. The first of two times I woke up it didn’t even occur to me to go downstairs, I simply went to the bathroom and back to bed. It wasn’t until 5 am, when light was barely creeping through the window, that I got comfortable on the couch and began my work. The cats were in and out, mewing for me and then going away, but I was determined. I relaxed my body, but the light was making me think too much. I kept on finding myself in thought, kept returning to silence and the blue lights behind my eyes. I think I may have sat there for an hour wide awake and unable to hold focus on the rough, silver ankh, though I played with several versions of it that seemed easier to focus on. I now think that it doesn’t really matter what you focus on, or if it stays the same. As long as you are putting focus on something other than yourself you will see some progress. That’s not to say that using the same symbol every night wouldn’t be easier as you would become more familiar with focusing on it concretely. I always want to stress that you don’t have to be good at any of these things to see some progression, and sometimes small progressions lead to larger leaps. Along those same lines, I’m noticing that the sleep I ‘lose’ by doing this practice is not really lost. It is almost 8 in the morning, and I don’t feel like I’m missing anything by being awake from 5 to 6. This is something I now remember making note of in a time of my life when I was working 90+ hours a week. I had exactly 7 hours to sleep each night, and sometimes couldn’t get to sleep right away. I noticed that as long as I was staying still and quiet, as if I were asleep, I could function the next day. Furthermore, I’ve heard many times that the body rests completely when the soul is out to play. Once I become proficient at leaving my body and can do it more quickly, the less actual sleep I’ll lose. I did find that I kept being uncomfortable. Still pretty sore from my muscle troubles yesterday. I would be numb and weightless and have to come completely back into my body in order to rearrange my pillows. I will say that if you are at a certain point and you need to resituate yourself, go ahead and do so. You return to the previous state much easier once you have been there before. Starting over is much easier than attempting to ignore aches or pains. While I sat there wide awake and could not seem to keep focused, it occurred to me that the stages of relaxation and focus are senselessness, thoughtlessness and finally formlessness. It seems to work quite well to concentrate on relaxing the body first. Once it is completely relaxed, and no more senses are tugging at me to pay attention to them, then I begin to silence my mind, which is easier to do when the body is relaxed. It is much easier to go to that ‘room’ behind the eyes in this way, and for me it seems this is the only way to get there. Once my body is relaxed and my mind has quieted, which takes usually about 10-30 minutes, then I feel myself ‘click in’ to focus, that previously~described state of being inside the darkened room where no thoughts can deter me. On to the good stuff. I went to sleep and awakened several times from short dreams, until I thought perhaps nothing was going to happen. But I was determined to at least make it to the vibrational stage, so each time I would wake up I would return to focus and center. Occasionally I would affirm to myself in my mind “I will leave my body now”, even if I wasn’t at the point where this would cause me to do so, rather reminding myself what my purpose is. The cats kept coming in and out, and soon the birds started singing, so I got some headphones and put them on to drown out the noise. Eventually I went to sleep and was standing on a street corner in the daytime. My twin sister was there, and it seemed like we were looking for someone. But I wasn’t interested in that, I only wanted to leave my body. I was looking for a place on the street to continue my practice. I found a corner of a white building and propped some pillows up there. I had my headphones with me, and as I put them in I heard my sister calling my name from across the street as a bus went by, but I ignored her. I put the headphones in. As I did this I started hearing a lecture, though they weren’t attached to any device. First a man was speaking on the out of body experience, and I could understand him but when I tried to focus on the words it either wasn’t English or didn’t make any sense. As I relaxed my muscles and plumped the pillows up behind me (which I guess had just appeared out of nowhere), a woman started speaking on the same subject. I didn’t want to think about what she was saying, so I allowed myself to hear her voice as a sound, not as words. When she started singing a song I continued to focus and center while hearing the song as a whole, not attempting to take notes on whether or not it was pretty or whether or not the words made sense, just a background noise like all the rest. I guess after that I must have fallen asleep in the dream, because I woke up and was riding the vibrational waves, like the previously~described boat on the ocean. They felt so good, so calming and somehow physically pleasant. What is odd to me now is that I was still sitting in the corner of the building and yet I was looking up at the ceiling of my living room. I reallized that I was looking though my physical eyes were closed, and realized how close I was to leaving my body. I made it a point to remain calm. As the wave would take me up, I would use the opportunity to reach my astral arms up and out of my body, making sure to do it delicately so that my physical arms would not come up with it. I didn’t know for sure whether or not they would, or which set of arms I had control of at the time, but I realized that my physical body was not moving. Instead of the ceiling fan above me in the living room, there was no ceiling fan, but a hole with wires sticking out of it as if someone had removed the fan. As the wave would take me up I would reach for those wires. The first time I almost reached them. 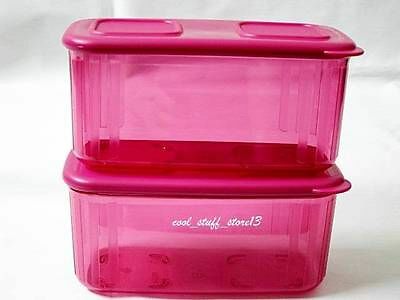 As I went down I saw above me this clear, pink plastic container, rectangle in shape, which had no lid. It was about twelve inches tall and six inches wide, floating up to the ceiling. This is the closest image I could find to what I am describing. I decided that when the wave came I would try and grab for it, but as the wave came it dissipated into molecules of pink, which became a pink mist that became a pink stain on the ceiling. I went up and grabbed for the wires instead, which I did grab hold of. I found that I didn’t float back down, I was hanging on to the wires weightlessly, so I started digging through the ceiling, which I was successful at doing yet I was making no mess. Suddenly the hole and wires weren’t there anymore, it was only the popcorn ceiling which was bubbled out towards me. This is all very abstract I realize, but it’s what was going on. At that moment I heard a noise in the kitchen. My Other was awake and had come downstairs. I woke up instantly, helped him with what he was doing, told him about my progress and then he went back to bed. I considered using the available hour I had left to attempt practice again, but decided instead to write it all down while it is fresh. As usual, I can’t wait for bedtime. Nothing much to report today, except perhaps how ‘not’ to do target practice. I went downstairs at almost 5 am which, despite previous, vibrational achievement, I’m not so sure is the best time to practice. It seems like I am in a more dreamlike state earlier in the night than I am in the morning, and I thought being more awake might help in having more control of my state. However, thoughts of the coming dawn, as well as anticipation of people waking in the house, stay in the back of my mind and keep me in some sort of nervous state. From now on I will go to the couch the first time I wake in the night. I relaxed my body and stilled my thoughts and focused on my object and drifted off, but the vibrations never woke me up as they have before. I woke again without dreams an hour later, birds chirping and cats coming and going. I returned to practice, waking again at 7. I’ve noticed that more than an hour on the couch makes my back ache. No matter what position I got in I couldn’t get comfortable. I was dogged in my refusal to give up, which is not always a good thing. I lay down on the couch and continued practice. However, laying down causes my mind to wander all sorts of places. It always has. It seems that when I am laying down I don’t have those in~between moments of clarity which remind me not to get lost in my thoughts. They take me here and there and soon thirty minutes has gone by and thoughts are king. This is why, in my page entitled “Dreamwork On The Go”, I suggest attempting meditation, which for most only succeeds in sleep, though dreams are often more vivid and memorable. I slept for awhile on the couch quite uncomfortable, becoming convinced that I am familiar enough with target practice to do it in the comfort of my own bed. I only succeeded in tossing and turning to the point that my Other kept stirring, so I got up and began my day. Due to coming days off from work and school I will feel less pressed for time. I’m expecting many exciting advancements in the next days to come. So odd. I did everything that caused positive results before, slid in and out of a gentle version of the vibrational stage but had no palpable results. I wasn’t particularly exhausted or in need of sleep. The cats weren’t coming in and out as much and didn’t try to get my attention at all. I was completely relaxed and undisturbed and didn’t have to be up in the morning at any certain time. I went to the couch while it was still dark outside, eventually waking at dawn. I didn’t push the issue, I just went to bed and back to sleep. This time I had an interesting, vivid dream but nothing about leaving my body as I have previously encountered. It’s curious, I was so sure something was going to happen last night. I vaguely remember waking up and going downstairs. My Other woke me at 5 am to return to bed. The way I had been laying caused physical repercussions. I’m concerned that I’m beginning to associate the couch with sleeping. Going to have to rethink my strategies. Last night I discussed this with the Other, who suggested I find a way to practice in bed. The condition of my spine causes me to require much caution when sitting or sleeping, as being in the wrong position too long can interfere with my life for days at a time. As determined as I am to leave my body, I cannot miss school and work to do so. However, I earnestly believe that there is no such thing as the ‘impossibility’ of reaching any goal. I decided to find a way to meet all requirements of comfort in a way that leads to progress. I wondered whether or not I could be successful in the comfort of my bedroom. At bedtime I gathered the pillows up behind me in a comfortable, half-sitting position. I found it quite easy to be comfortable, relax and meditate in this position. The weightless feeling of my body came on fairly quickly. I found the silent, black room behind my eyes in no time. I noticed that I was more mentally centered in bed, less apt to focus on cats coming and going and sounds in the large space of my living room. The closeness of the walls and knowing my Other was beside me, caused a great deal of calm that I have not found in the living room. Additionally, it was quite easy to focus on my object, which kept appearing behind my vision in different forms. 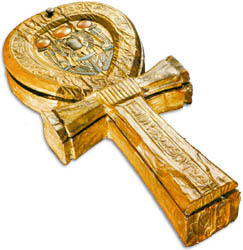 The ankh turned to knotwork, flipped itself on its side, lost its cross and became an intricate infinity symbol. I focused on that for awhile. The only setback was my precious Other, who was having a hard time staying asleep. He would turn every five minutes or so, and the fan was causing the soft hairs on his arm to move, which would make him itch. He’s been sick recently, so he kept clearing his throat and tossing around. I’ve been thinking about surrender a lot lately as a way to let go and allow the natural flow. I decided to surrender to the silence. After all, the sensations of the body divert us away from focus, they are no more distracting than movement and sound. Each time the Other would move or make a sound I would continue on, putting no thought to anything but my symbol. After about an hour I was noticing this heaviness behind my eyes, almost as if the dark room was weighing down upon my face. It’s a sensation that I’ve felt before but forgotten to mention. My eyes kept focusing and refocusing, as if the dimensions of the room were expanding and contracting. The blue light began to swirl and break into circles. My body was stone, and I started feeling that light, wavy feeling of the vibrational stage approaching. Our housemate got up and went to the bathroom and started to take a shower, pulling me from my deep state. He rarely does this so late at night. I decided then that I would simply meditate, and was able to go very deep into silence. My back remained relaxed and I was very comfortable, and somehow the feeling of being alone seemed less intense. I think tonight I am going to do this again. There’s no reason why all the ingredients can’t be just right for me to succeed. Hehe…for all my assurances, I don’t think it is possible to do this technique in the comfort of my own bed. All I have accomplished is some really intense dreams and lots of good sleep. In fact, I’ve never slept this good in my life. An ovarian cyst the size of my fist rests on my bladder at night, causing me to have to use the bathroom many times. I must say, this practice has somehow kept that from happening. The past four nights I’ve slept undisturbed, which is wonderful. It reminds me how much easier it is to live in the positive state of mind that is natural to us all, as well as being able to focus better during the day’s activities. However, good sleep was not my intent here. I’m trying to leave my body. Yesterday I did homework on the couch, searching for positions and arrangements which would allow me to be most comfortable. I succeeded, so before bed I got everything set up just right so that I could go downstairs when I woke up. The only problem was that I didn’t wake up. What are my options now? I could set an alarm for myself, but that would disturb my Other. I am considering target practice as a prelude to sleep. Perhaps when my Other goes to bed I can stay on the couch, going to bed whenever I am ready afterwards. All I know is that there is no turning back. I’m not going to give up. I’ve wanted to do this my entire life, and have lamented not working towards my goals. It’s just time, and I don’t care how long it takes me, I will succeed. I found a way to wake myself up at night. Before I went to sleep I told myself that when I wake up I had homework to do. At 3:42 am it was the first thought in my mind when I woke. I went downstairs and got comfortable on the couch, which was a matter of nothing more than finding the right pillow to put behind my back. I found it diffficult to focus on my object there, as opposed to the bed. In bed I’ve become quite proficient at conjuring my object by saying to myself “infiniti”, which causes an infinity symbol to appear. Sometimes it is white on the black background, sometimes it is black and the background is lighter, and sometimes the loops are coloured in with white. Sometimes the middle pushes itself apart, creating a knotwork-style symbol. What I have discovered the past couple of nights is that I have been…scientififying (my own word) the process instead of simply focusing on my object. The ‘thoughtlessness, senselessness, formlessness’ theory, though accurate in describing the steps towards leaving the body, is not a process that should be concentrated on part at a time. It is an organic effect of focusing on the object. As difficult as the image of it was to hold behind my eyes I returned to it any time thoughts pulled me away, until the blue light began swirling and parting itself and thoughts became occasional waves that shuddered through me. Eventually a muted sound (I had headphones in to dampen any noise) would pull me from a half-sleep, half-meditation state, when I would return to focus on the infinity symbol. Suddenly I came to in a standing position, looking out the window. When this happens, as in the case of all the ‘dreams’ I’ve had during this practice, I’m always afraid to look back at my body because I would rather pretend to be out of it…just in case I am not. When I ‘come to’ in this state it’s always this overwhelming feeling of “I’ve done it!”, so much so that I’m not sure whether I am dreaming or have actually left my body, but feeling the latter to be true. 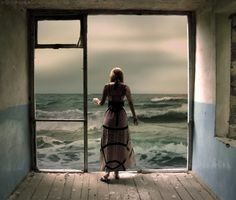 What was odd about looking out the window was that there was no backyard there, it was the ocean, and the waves were lapping backwards; not in the sense that they were leaving the shore, but that they were moving from left to right diagonally instead of coming straight at me. This caused me to know that I was no longer in my body. I watched in extreme fascination, staring out at the ocean and the grey daylight that was emanating there, and realized that this must be an alternate dimension. It was cause for great excitement though I kept calm, fearing excitement would pull me from this state. What makes me think it might be a dream is that I decided to go upstairs and tell my Other what had happened, and suddenly I was standing before him telling him about it. The problem arose that he was not in the least bit interested; he merely smiled at me and went about getting ready for work. Instantly I thought to myself “This must be a multi~dimensional him that is not the Him I know, or else he would be excited.” So I began again, moving into another dimension and telling that Other what I had done. Again, he only seemed mildly enthusiastic, not excited at all, which caused me to think I had, once more, found myself in the wrong dimension. Soon I heard the ‘real’ Other waking to get ready for work, so I got up and went into the bedroom and fell asleep. I’m glad to say I was not sore in the least. I feel that I am back on track now, and can’t wait to continue! I wish I knew what was happening with these ‘dream travel’ experiences. Perhaps I should find a way to ask William Buhlman about it. Ten thousand words and growing. I’m torn between continuing to post daily and only posting when I have some progress to report. At this point I am waking up enough to go downstairs to the couch, but I’m going to sleep before I ever get to the vibrational stage. When something does happen it’s a dream of leaving my body but not the actual thing. It’s a delicate art, staying awake long enough to fall asleep at the perfect moment. What a conundrum. I’ve gone to Buhlman’s website for answers. He’s talking about people who are good at visualization versus people who aren’t. He says affirmation techniques are useful for people who can’t visualize. As I’ve mentioned before. my master has worked with me on imagination and visualization techniques. I can visualize any of the planes I have been to with him and explore worlds with nothing more than my mind, but when I sit down at night and attempt to visualize a simple infinity symbol I find it extremely difficult to hold on to. Further, I am combining affirmation and visualization, by thinking to myself “I will leave my body now” as I drift off. … Come to think of it, I didn’t do that last night. I need to make note of when I do and do not affirm this to myself, perhaps that’s what causes the vibrational state to come on. Another thing he says on his website is that it’s easiest to imagine a loved one far from you. This is something I’ve not thought of before. Perhaps, instead of attempting to focus on an infinity symbol behind my eyes, which is still within the sphere of bodily reference, I should focus on my Other upstairs in bed. Buhlman says to work towards becoming “completely absorbed in being with this person”, making the vision as real as possible with senses involved. 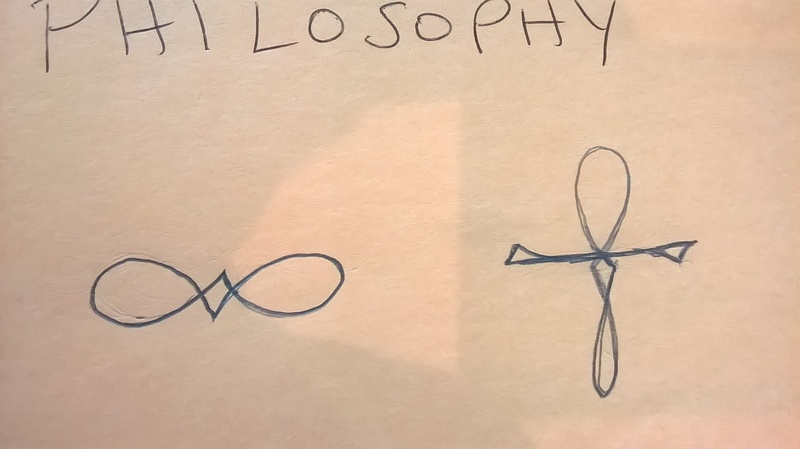 This might cause enough distance between me and myself, but considering the hard time I’m having with a simple infinity symbol I’m not sure I can visualize a whole person. Think I’ll stick to what has shown results in the past. I’ll continue to post daily at least for now. I know I can do this, I was meant to. In fact, we all were. My twenty~fifth night everything was in order to have a successful practice session. Instead of waiting until I was already asleep I went to bed on the couch, hoping to get deep in before drowsiness began to set in. I still don’t understand why visualization of my object is so much more difficult on the couch than it is in my bed, but I did my best, keeping in mind that my most successful nights were no more successful at visualization than others. I came to several times, realizing I had gone to sleep, and began again, which is easy considering the mind is already lax as the body. I woke up at early dawn and went back down to try again. Still nothing but sleep. Admittedly, I was very frustrated with the lack of advancement yesterday. Cats weren’t coming and going, and neither were people. I was comfortable and all was well with the world. I began to feel like, perhaps, I still have fear of leaving my body that is preventing me somehow from advancing to the vibrational stage. I had a hard time with negative thoughts, because I can’t understand why, under the exact same circumstances as previous successful nights, I cannot produce the same results. There is still that deep fear inside me that I will be one of those who will not ever leave my body, even as I know this to be an impossibility. I was talking to my Other about it last night, my frustrations as well as my ponderances on whether or not the inability to visualize is preventing me from reaching my goals. I never quite get far enough ‘away’ from my body to the point that William Buhlman describes, when you no longer associate with your physical form, in the prime state of mind to unattach from it. My Other cannot visualize well at all. He never has been able to. As I have opened Doors and explored worlds and taken succor from my master he has looked on longingly, which is nothing if not ironic, because he is so pure he might as well be a master himself. He explained that when he visualizes, it’s not an image per se, but a formal concept in his mind rather than behind his eyes. This caused me to try to visualize in the way he described himself to do. 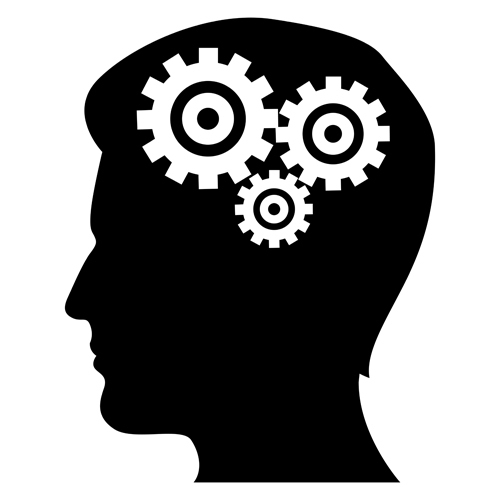 Visualization of the mind is higher, so to speak, than behind the eyes. The image is ‘seen’ in the “third eye” region, and though I knew this from practice with the blank screen technique, I’d never really put the thought to use such as I did last night. It’s much easier to hold on to the image in some concrete way there, in the forehead region, than it is to attempt to form an image behind the eyes. Unfortuanately the housemate, who has been gone for a week, walked through the door when I was in the deepest meditative state, which frightened me terribly. After that my mind wouldn’t come out of the thought phase, bounding around from one thought to the next. I went up to bed and didn’t come back down til morning. However, I do feel that focus on the image in the mind will be more successful than behind the eyes. It is this that I will practice tonight. Focus in the mind does work quite well. It has occured to me that in the notes of Night Twenty Four I solved my own problem without even realizing it. The way I focus best is when I’m using the mental technique to Go places such as my 64 Doors, which is the first thought about where to go upon leaving my body and meeting with my master. Why wait until I meet with him to go there, when I can go any time I want? I’ve read in many books, especially my “bible” Eckankar: The Key To Secret Worlds by Paul Twitchell, that to ‘imagine the journey fulfilled’ is the most potent way to leave the body. I’ve always struggled with the idea of that, but after last night I understand. Recreation of a place in the mind causes the soul to appear there when moved out of the physical realm. Remember, in the ‘soul dimension’, thought is how one travels, not movement of the body. That is why it’s so important to learn how to silence the mind, to traverse the ‘thought responsive’ worlds, as Buhlman puts it, before we leave the body, or else we will find ourselves transported with every thought we think, which could be troublesome. Obviously, not everyone has such a place to imagine. But you do have a favourite spot; the tree you like to sit under at the park, the bedroom you stay in when you visit your parents, etc. It can be anywhere. Instead of struggling with focus on the infinity symbol last night I spent time at the Doors, peering through them into those rooms that can be seen from outside. Door One is an empty clay room, but for a golden medallion in the center of the concave floor. Door Three is next to Door One (they aren’t in common order) is a recessed cave with a large pillar in the middle of the room and a sort of small arena at the far end. I looked inside, observing the dimensions of the room. I attuned my senses to the earthy scent of it, heard the willows moving with the wind outside. I watched the rice patties on the white beach swaying in the wind and followed the waterline of the rainwater lake around its circumference, ‘fleshing’ the place out in my minds eye. Having been here some hundreds of times it’s easy to visualize. In fact, I found it more vivid last night than many times I’ve been there. I was just getting to the vibrational stage of feeling as if I were on a boat on the ocean when the housemate began coming in and out to smoke. After awhile I realized he wasn’t going to sleep and I went to bed, but I’m very much excited that I got that far, after nights of no progress at all. Further, I’ve returned to the previous ‘scientific method’ that I was using before: senselessness, thoughtlessness and formlessness spoken of in night fifteen’s notes. It occured to me that once I abandoned these ideas, thinking that I was complicating things too much, I had no more success getting to the vibrational stage. Last night I made it a point to focus on relaxing my body first, my thoughts silenced after, holding focus on the Doors while I did this. I will do this again tonight, and hopefully have less to distract me. I think it’s time I make peace with my fears. I hear the Next calling me. Whether or not I ever make it there in this lifetime, it is always calling me. It is calling us all. I watch young adults stream into the Student Center at my school wondering…who amongst them knows? Who is searching like me? You can’t tell us by the way we dress, the way we speak, the music we listen to, the people we hang out with. What would be the downfall of me never physically leaving my body? No such conclusion is important. I progress at a rate that is best for me, despite what I think I want or need. I cannot push myself to go further than I am able, nor should I. These past two nights I have explored my 64 Doors more in depth than I ever have. The peace of that place settles over me even in physical life. I’ve discovered many surprising details that I’ve never noticed before, such as stairways I’d never seen before, doors I’d never known were open and details about my surroundings I’d never taken the time to pay attention to. Perhaps I cannot be there as physically as if I were out of body, but the mental technique provides me with a real enough experience. I see the wind blowing in the trees. The sun shines on the deep green of the rainwater lake in stripes that penetrate beyond the surface. The air is fresh, devoid of the pollution I breathe even now. It smells spiced, somehow primal. All is silent but for the movements and stirrings of nature. If all I ever had was the Doors, and the places my master took me with this mental technique, I would continue to grow more and more joyous each day, just as I have these many years. I would continue to perfect my soul by giving kindness to myself and others. Perhaps I would not be able to overcome the deeply~rooted neuroses of the addictive personality and the ongoing conflict of creating pain in my body, but I would continue to be joyous despite these. If my eagerness to physically leave my body, or a fear that I cannot, or a worry that I am not doing something right are keeping me from Leaving, I lay them aside here and now. I’ve come to realize that what I’ve begun here cannot be stopped. This is no longer a 30 day practice but a lifelong one, although I will only post on this page for two more days for pity’s sake of those who might read it. Not everyone has a 64 Doors to go to, and I created this post to show the world that you don’t need to have any special abilities or previous knowledge to leave your body. I say to you here and now that taking on this challenge will improve your life, whether or not you are successful. I hope that I have shown that progress can be made, and that undertaking this practice doesn’t interfere with daily life at all. I have never once felt as if I’ve lost sleep, or not been able to keep up on my homework. If you decide that it is time for you to undertake such a practice then you will. If you are not yet ready no amount of wishing you were will get you there. I think the secret is to be YOU, just as you are now, and be okay with the you that you are now. Every new plateau of awakening you reach, you invariably look back and realize that you couldn’t have gotten there any sooner than you did. The next two nights I will go to the couch and do what I do, but not with the desperation of the past few nights but with peace. I have succeeded in meditating every night for at least an hour, which is something I never ‘had time’ for. I have fleshed out the Doors more in three or four nights than in the previous ten years of visiting them, and now am excited to go there each night and get to know the lake better. And when I do accomplish leaving my physical body I will begin a new post detailing the information I have made note of. Here goes nothing. I began at Door One, standing in front of it and peering in. I turned and looked back at the beach, not sure where to go next. It has occured to me that the path through the small rice patties is one the Senoi tribe takes to get water and perhaps fish from the rainwater lake. 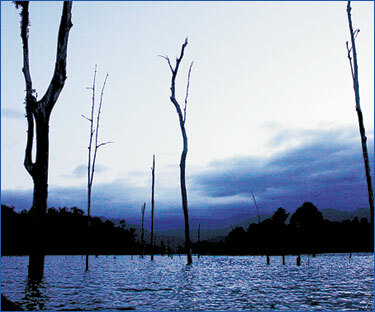 Their village is further back, in a forest whose trees are taller than those surrounding the lake. I’ve never been to their village, never felt the need to go. I think part of me doesn’t want to intrude. Another part of me is still afraid of going anywhere new. Fear of trusting our imagination is so ingrained within us. All these years it’s never quiet left me, even with all the proof I’ve had that what I was experiencing was real. 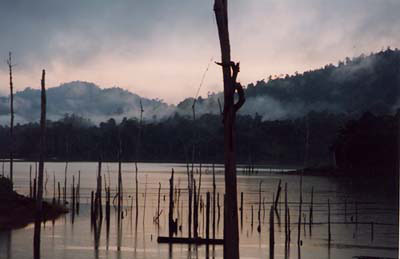 Malaysia and Borneo are, in fact, home to rainwater lakes. They do have rice patties, which the orang asli, or Senoi Indians, depend on for survival. The man who first greeted me on the lake looks like the Senoi tribe. These facts took much time to compile. 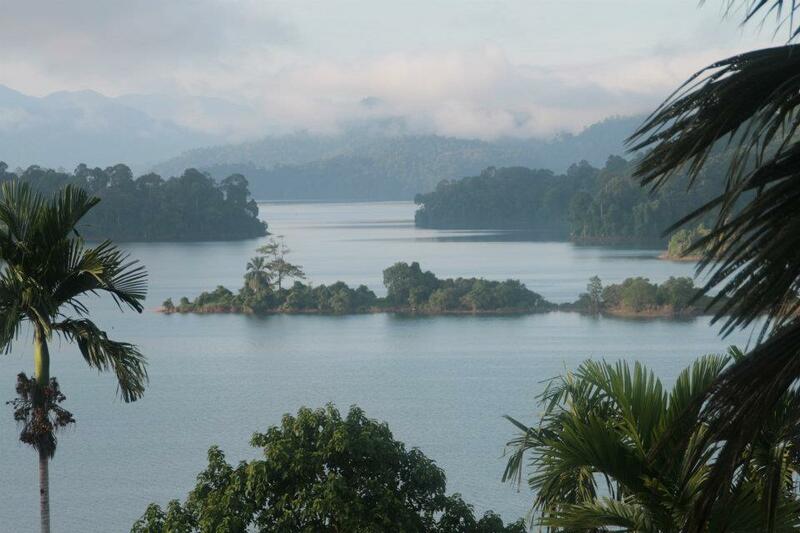 It wasn’t until I saw a picture of the ‘keeper’ of the lake in a book I’d been reading: Richard Moss’s “Creative Dreaming”, which spoke of the Senoi tribes and his time among them, that I knew what to look for. I decided not to go to the village, to re~visit other Doors instead, but the intent was already out there. As soon as I drifted off to sleep I came to at the edge of a clearing. I was standing in front of a brown longhouse, realizing that I was in the village. This was shocking to me because I had just decided not to go to the village. What was there to do but enter? 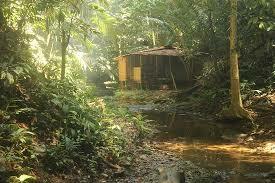 I passed a thick corner of rainforest underbrush and came into the clearing fully. 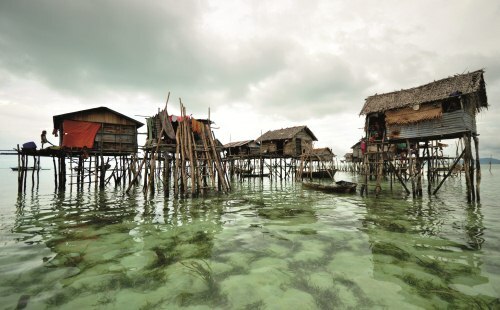 Three longhouses stood without stilts, shorter and a darker brown than the usual greywood shacks I’ve seen in images online. It seemed there was no one there and I wondered if it hadn’t been abandoned. A man stuck his head around the side of a house and smiled at me. He had huge, spacey teeth that made his grin precious. He beckoned me to come to him. Once I passed the first longhouse I saw that there were, in fact, many people there. Several older women, one near a fire, another couple working with thatch. When they saw me they put their work aside and stood, seeming really happy to see me, which was humbling. Much to my surprise they went and gathered instruments and played a welcoming song for me. It was unlike any song I’d ever heard…parts of it sounded like Native American singing, some of it sounded Asian. One instrument looked like some sort of long ocarina, but while the woman played it she also slapped it as if it were a drum. It was such a sweet song, so heartfelt. The people were all so joyous and at ease, though I felt a bit uncomforable being the focus of so much attention. When it was done they all smiled and nodded and went back to what they were doing. 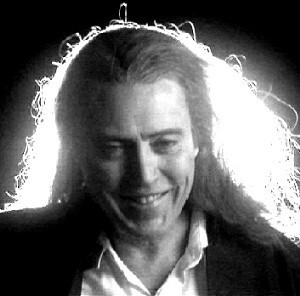 I looked at the man with big teeth, who had a knowing look on his face. I nodded at him and he nodded back, gesturing to the path leading back to the lake. Here it is odd, because I got up to leave, but it’s as if I began to dream before I ever left the village. 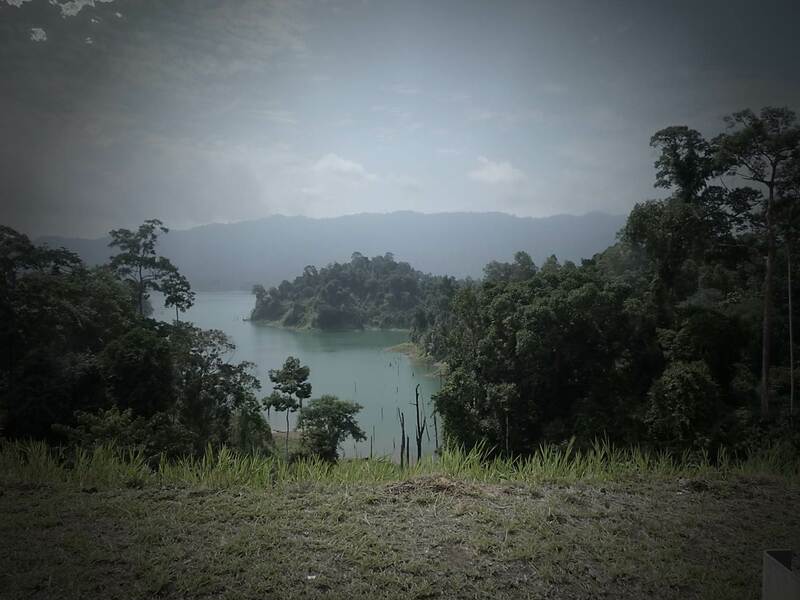 I woke up on a makeshift ladder, crawling down it with other Senoi into a cave. I was confused at how I came to be there, so I stopped crawling down and went back up. Later, there was a woman with really short, white hair who I had come to adore. I remember looking at her as she boiled some roots on the fire and thinking how much I liked her. It seems I grew close to her quickly, in the span of the day I spent with the tribe. You’ll find this happens often in experiences like this. Some things are experienced without your actual ‘being’ there. Some of it is teachings you are not yet ready for, but once you are the full memory will come back to you. Of course, I was very excited to tell my Other about this experience. Since the solving of the Eighth Door nothing new has happened there. I never expected to meet the tribe, not sure why it’s never occured to me before. It’s been a long journey. Night thirty I focused on the infinity symbol, had some really interesting dreams and woke up the next morning refreshed. Since I had success reaching the vibrational stage while focusing on the symbol, I think I will begin a second thirty~day session focusing on nothing but it and see where it takes me. Sometime in the next three weeks or so I will be taking my third shamanic journey, perhaps that will break me out of whatever is holding me back from leaving my body. Whether or not anyone ever reads this I’m glad I did it. Feeling responsible for putting it in writing each day caused me to be able to create a much~needed habit, if nothing else I have this to be thankful for. This holiday season I was not successful at leaving my body. I had a week off but company was a constant and distractions were many. It is disheartening but I’m not giving up. Three more weeks of school and I’ll have a whole month to work this technique. I’ve decided to take next semester off to work, so I’ll have a lot of time. There’s no doubt in my mind that by next summer I will have succeeded in leaving my body. I earnestly believe that though this process does require dedication, anyone that is set on accomplishing soul travel can do so even in the busy era in which we find ourselves. The journey will not stop there. I want to draw a map of astral experience that helps those suffering from physical pain to find the base cause and fix it. I want to chronicle all the places I go and all that I see. I am a beginner on Step 1, hoping to assure people who feel that these experiences are out of their reach that anything is possible. The journey has not even begun! It’s an eternal journey, all that we were meant for. It can either start at death or before. For this there is no end.